Hey everyone! 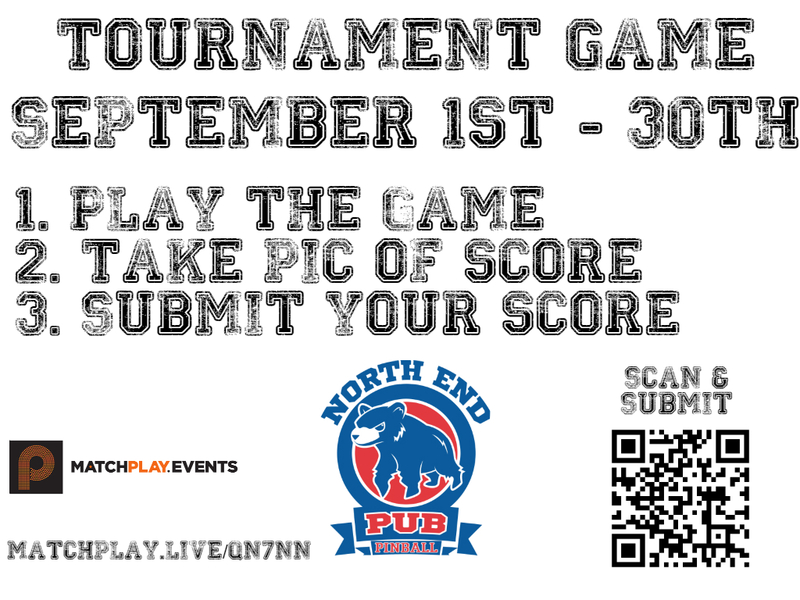 Everything old is new again and we have brought back a selfie league this time to North End Pub. The first selfie league started on September 1st and will run through the end of the month. There are only two games in the tournament each month. This month the games are Stern’s Iron Maiden and Sonic’s Prospector, our newest and oldest games go head to head. If you never played in one of our previous selfie leagues don’t fret, as it is incredibly easy, check out this guide or follow my three easy steps. Play Game(s). (Iron Maiden & Prospector). Take a picture of the score (score is better, doesn’t have to be a full selfie). Look for this sign on the tournament games of the month! It is truly that simple! At the end of the month, the top scores will face off against each other in a finals format. This format allows you to play when it is convenient for your schedule and still battle against your friends and foes alike in some light-hearted pinball competition. I hope several of you will participate! Here are the standings after just the first 3 days.